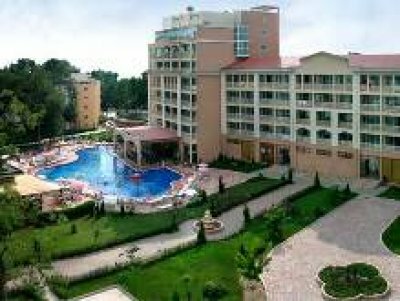 Location: in the very heart of Sunny beach, on the main promenade 50 meters from the beach. 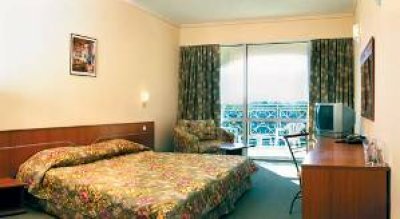 Accommodation: All rooms, studios and apartments are equipped with air-condition, Comfortably arranged furniture, Sofa (extensible and suitable for a child), Dressing table, TV, Fridge, Telephone, Safety box, Bath-tub, Shower, Sink, Hairdryer, Balcony with chairs table. Facilities: outdoor swimming pool with a children’s section, sun beds umbrellas, pool bar restaurant, massages, fitness room, doctor’s, internet games, hairstyle studio, children’s play area.